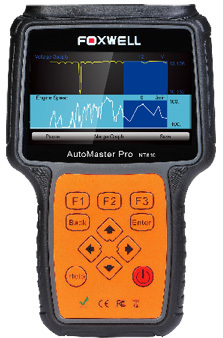 The Foxwell NT624 is a professional level diagnostic handheld tool, offering comprehensive system coverage for a vast array of car manufacturers. Are you confused by the different features and coverage of the Foxwell tools? If so, please click here to go to our Foxwell Tool Chooser. 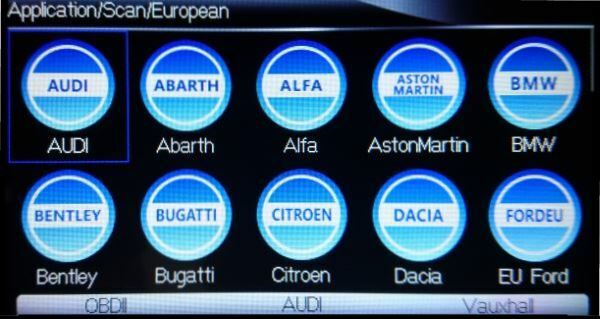 This is a page where you simply select the region of car manufacturers you want to cover (e.g. Europe, Asia), and we'll show you the suitable tools and what each tool offers. NT624 tools purchased after July 3rd 2017, or within an active subscription period on that date, now come with free 'lifetime' software updates! (If you purchased your tool prior to that date you would have had 18 months of free software updates - if your updates have expired you just need to purchase an update package once to be moved onto lifetime updates). To apply software updates to the tool you will need a Windows PC/Laptop and an SD Card Reader. If we have sufficient time between your order being placed and being shipped, we will often install the latest available updates for you on the day the order is shipped. 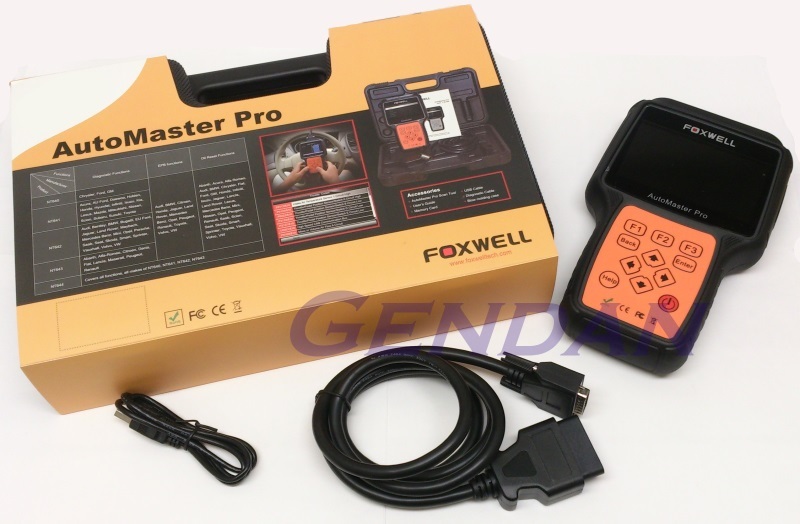 You firstly need to create an account with Foxwell and register your tool. This can be done through the FoxScanner update software, which can be downloaded for free from the Foxwell UK website. Just select your tool from the list on the Foxwell UK Updates page and follow the instructions to download the latest version of FoxScanner. The file downloaded will be a compressed zip file. Open that file and run the installer inside it. Once installed, open the FoxScanner software. Click the Register button and complete the registration page to create your Foxwell account. To register the tool, you will need the tool's Serial Number and 'Register Password'. You can find these on the tool by selecting Setup > About. When logged into FoxScanner, click the 'Register Products' icon. On the 'S/N Registration' tab, put a tick in the box marked '001' then select your tool in the Part Number column. Enter the product's serial number and password, then click Submit. A confirmation box should be shown confirming successful registration. Now close the FoxScanner software, remove the SD card from your tool (making sure the tool is turned off first!) and connect it to the PC via an SD card reader. Once Windows has detected the SD card, run the FoxScanner software and login again. click the 'My Updates' button. After a few seconds, a list of the available software updates will appear. Ensure that the correct serial number is displayed in the drop-down list. Click the Update button to download and install available updates. Please note: the update process can take a long time. If your tool has not been updated recently, it may take a few hours for the update process to complete. Once the update has completed, don't forget to 'safely remove' the SD card in Windows before unplugging it, to avoid the possibility of data corruption. If your updates ran out before July 3rd 2017, your tool will continue to function - it will not 'time out' - but you will no longer be able to access the update servers. Should you wish to continue updating your tool, you will need to purchase an update package, which will move you onto free lifetime updates and restore your access to the update servers. If you've already purchased this product, you can submit the first review here!